Football players are not all about goals and cameras, there are charitable footballers who like to contribute with noble causes, and we are going to introduce them to you through this list. Football is a big business, capable of create and spend ridiculous amounts of money every year. The stars of the game are people with absolutely no money issues; they just need to be worried about their consistency and staying injury –free. Sometimes, footballers like to remunerate the society with charitable gestures; others just want to avoid taxes. But we like to think that the sport known around the world as “The beautiful game” has athletes with a great social sensitivity and a big heart. You might surprise a little bit with a couple of names in this list, there are things worthy of being in a movie, who knows, maybe someday this charitable footballers will have movies about their awesome contribution for the communities in the world. The former Everton and Rangers FC player is one of the most charitable footballers in the English Premier League. Naismith is ambassador of the Dyslexia Scottish Charity since he got professional, he overcame dyslexia when was a teenager and since he has always supported the people with that condition. When Naismith was playing for Everton, he distributed two game tickets for every unemployed people at job centers located in Liverpool. The Scottish player also launched a scheme to help the injured ex-military personnel back into work in his country called Help for Heroes. Last Christmas Naismith sponsored a dinner for the homeless people in Glasgow with the Loaves and Fishes foundation. When asked about his philanthropic approach he explains “I grew up learning to respect people and never to judge anybody on first impressions”. 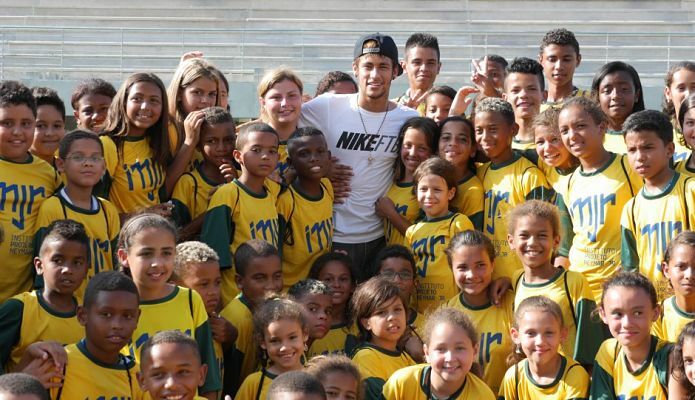 The Brazilian star founded the “Instituto Projeto Neymar Jr” in 2014 on the seafront city of Praia Grande, Sao Paulo, close to Neymar’s former club Santos. This institute helps over 2400 children from poor background with their social and cultural development through physical activities. The scandalous deal made between FC Barcelona and Neymar has a clause of € 2.5 millions for his foundation in Brazil. Neymar supported in 2014 a nongovernmental organization called Waves for Water that helps needy communities which don’t have access to clean water, and launched a clothing line to help raising money for Waves for Water foundation. Neymar also does charity matches every year to raise money for giving food to the poor neighborhoods in Brazil, and likes to attend fundraising events like the ones made by Pokerstars, where he attended and held raising money with just being there. In his charity matches he likes to invite Brazilian stars like the UFC former champion Jose Aldo Jr and other footballers like Kaka and his former team mate Ganso. Besides being considered the best footballer in the world, the Argentinean ace does a great contribution to the society and communities of Argentina, Barcelona and many places of the world. Much of the money that Messi earns is donated towards charities. Lio founded The Lionel Messi Foundation in 2007; his organization principally helps vulnerable children that can afford medical treatments, but also makes campaigns against violence, bullying and diseases in needed communities all over the world. 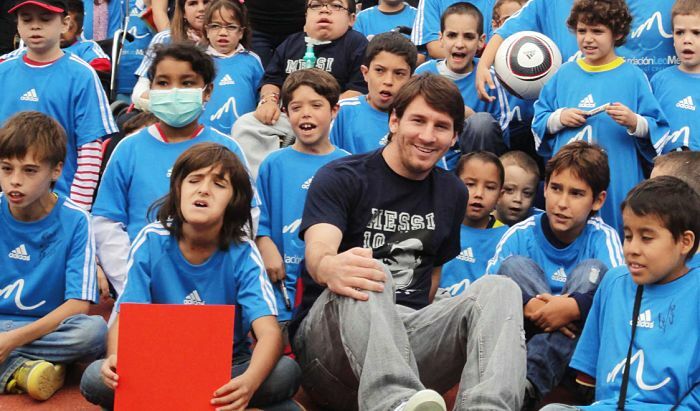 The Lionel Messi Foundations has executed charity projects in more than 15 different countries. Messi has his own fundraising event called “Messi and Friends”; which consists in football matches where he plays with his superstar friends. Through this game his foundation receives economical support from big sponsors as Adidas and Pepsi. Messi also gave to his hometown, Rosario, Argentina, 600,000 Euros to remodel a children hospital. He also supported Sarmiento, a club from his neighborhood, with the refurbishment of their facilities. The charitable actions don’t end up here; Lio has held Newell’s Old Boys, the club from his childhood, with the construction of dormitories for the youth academy and a new gymnasium. However, there are many people who think Messi’s charitable actions are a curtain to hide his legal issues related to tax invasion. The image that we have about Ronaldo sometimes makes hard to believe the human quality that he has. Cristiano is known for his ability to pass rivals on the pitch with his speed and strength, but how many of you knew that the Portuguese star is one of the most charitable footballers of today? Ronaldo has done several philanthropic actions over the past ten years. He may not have an own foundation program like other footballers, but he is always supporting the good initiatives that can help improve the lives of those who are in need, especially children. Among his most recent charitable actions we can highlight the payment of special treatment for a Canarian boy of nine years old who is suffering from terminal cancer in 2012. Later in that year Ronaldo sold the golden boot he won in 2011 and donated the money to build new schools in Gaza, the amount was €1.5 million. Last year Ronaldo gave €5 million to help with the recovery of Nepal after a great earthquake. Recently, Cristiano gave his €600,000 UEFA Champions League Winner bonus to charity. You didn’t see this coming, Right? 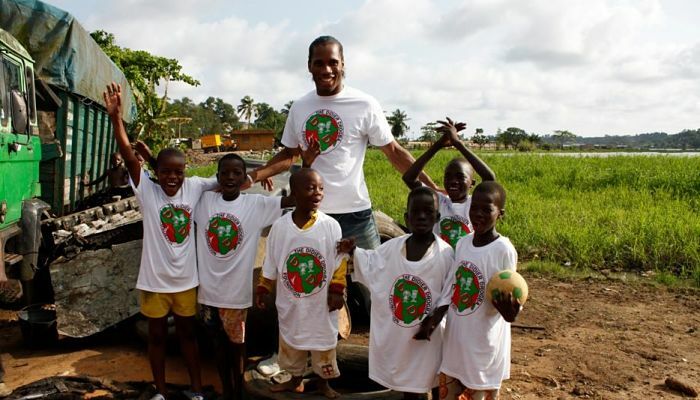 Drogba being at the top of the 5 most charitable footballers should not be a surprise for anybody. There are tons of philanthropist athletes who make a big difference with donations and raise funding events, but how many of them have helped bring peace to an entire country? That’s right; Drogba had a vital role in the cease of fire of the Ivory Coast civil war. Drogba saved his country by appealing to politicians challenging them to end the civil world. After helping the Ivory Coast team to qualify for the 2006 FIFA World Cup, Didier Drogba went to the dressing rooms, picked up a microphone and surrounded by his team mates, got on his knees, and made a plea to combatants asking them to stop fire. The peace came to his country almost immediately. Didier also has his own charitable institution called “Didier Drogba Foundation”, which counts with the support of FC Chelsea. I hope you liked this article. 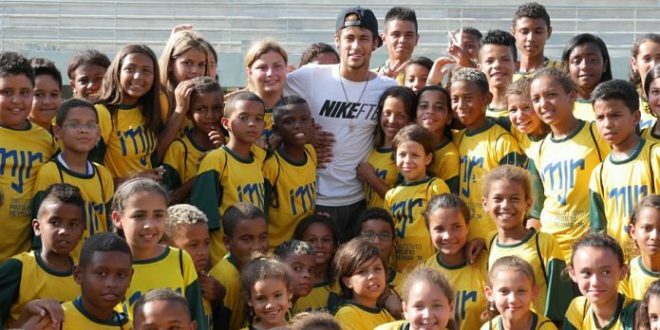 These were the 5 most charitable footballers.